Over the next few days google are rolling out a UI update to include “in-depth” articles. To understand a broad topic, sometimes you need more than a quick answer. Our research indicates perhaps 10% of people’s daily information needs fit this category — topics like stem cell research, happiness, and love, to name just a few. 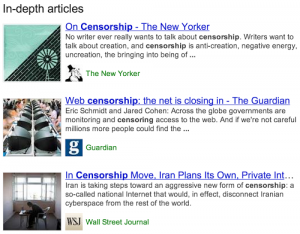 That’s why over the next few days we’ll be rolling out a new feature to help you find relevant in-depth articles in the main Google Search results. Two things I find really interesting is the mention of “perhaps 10% of people’s daily information needs fit this category” so will google be showing this to 10% of daily searchers? 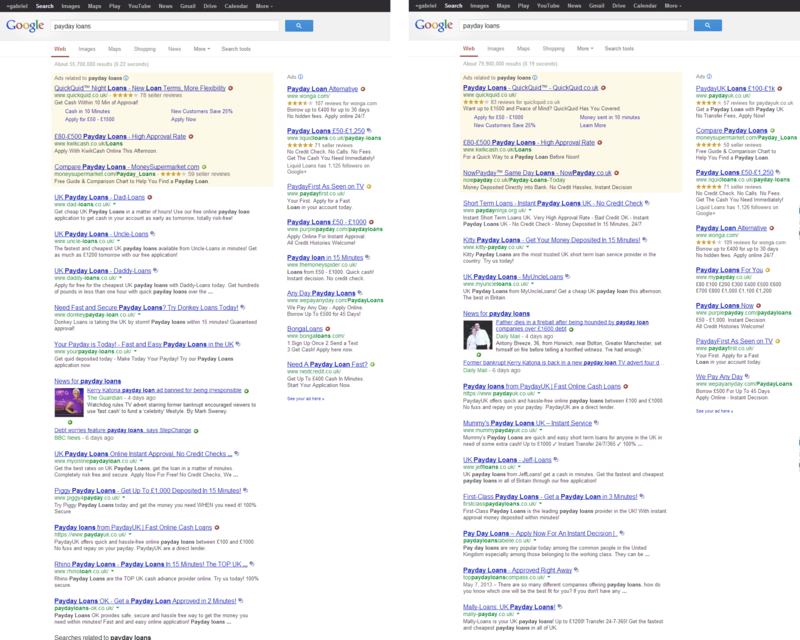 rms don’t show these “articles” organically and google seeing the need to help users find them. 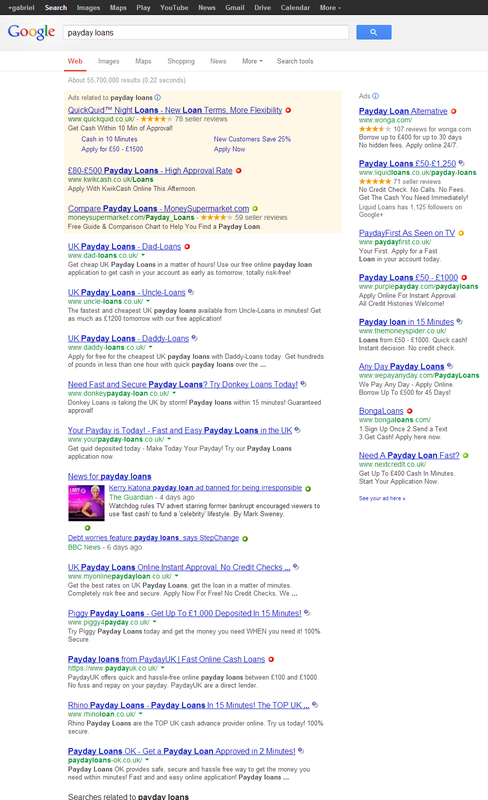 UK payday loans serps update? 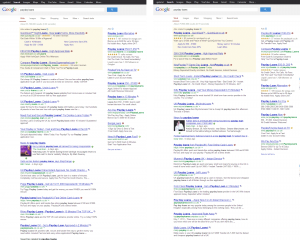 Only one of the top organic results are the same.. . The one thing I find interesting is that all 9 out 10 results have changed! Every day, people use Google to shop for products. To help shoppers find the products they want to buy, Google Shopping will be transitioning to a new experience in the UK beginning 13 February 2013. In this transition, Google Shopping will become a commercial platform built on Product Listing Ads. We believe this commercial relationship with our merchants will lead to higher quality data on the site and a better shopping experience for users. 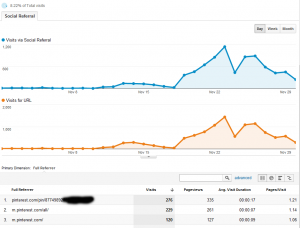 We expect this improved user experience to bring higher quality traffic to merchants and help them reach new customers. Just had an email from a client asking if google shopping is down? Some of the search options are temporarily unavailable. You can repeat the search with standard options, or try again later with all options. Here is a screen shots when searching for books.. Interesting google has no books… Is it a glitch or a update coming to the UK? It’s now 11:07am in the UK and the search is now resolving.. So google shopping UK search was down for just over 1hr today… Expect your traffic to be down by about over the day by about 10-15%… Hopefully it will stay up for the rest of the day. 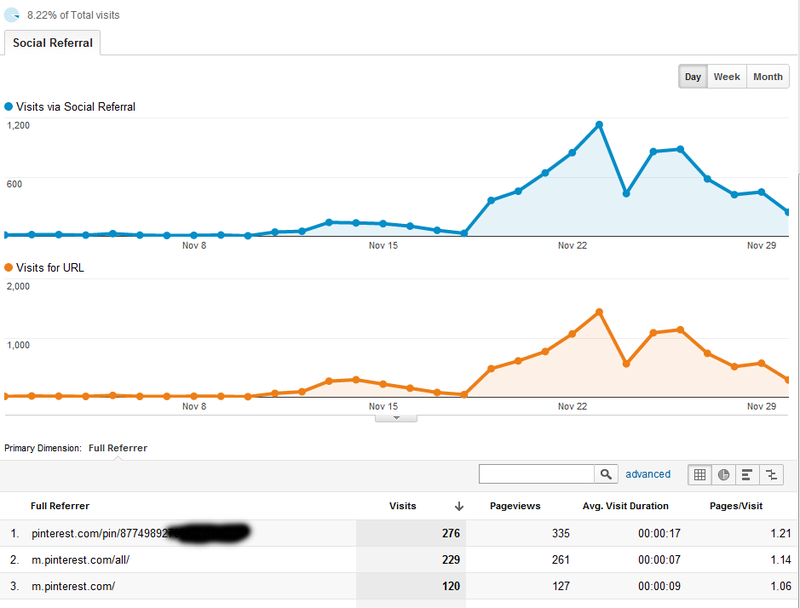 As always each day I log into my adsense to check out what’s going on across all my sites. I got paid on the 26th as you can see so normally the balance on the account goes to £0.00 in other words all has been paid BUT for whatever reason google is now showing me a negative balance.. I can only assume 1 or more clicks have been discounted at a later date OR that it just a maths error. Wow.. digg has 404’d the old site for the new design.. Wow.. who has done that? Digg ranks (ranked) for so many search terms which it no longer will..
All of those outbound links are gone now too.. So some 14million links have just dropped off google’s radar. Yes digg nofollowed most links but it doesn’t matter as 14million is a game changer for many sites. 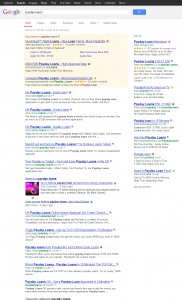 I’ve been running and playing with google’s adwords product listings for a while now and forever and a day I’ve been working on the google merchant shopping feed (froogle/base). Anyway I’ve not had much to moan about base/shopping/merchant centre for a long time until now.. So a new client I’m working with in the UK has been advised by me to start testing the product ads which I have had great success with for my long term clients. 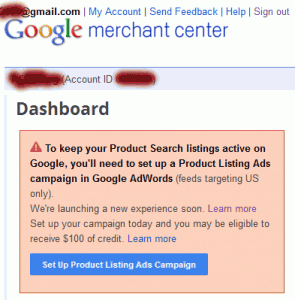 wow what great news.. Google has added a short cut way to enable the product listing on adwords.. Yes the warning mentions feeds targeting the US but I’ve run product ads in the UK for a long time now I thought I’d use this simple short cut to enable a complete listing and learn a new process and offering from google to make it simple! The process was so simple and showed up as enabled in the merchant centre. 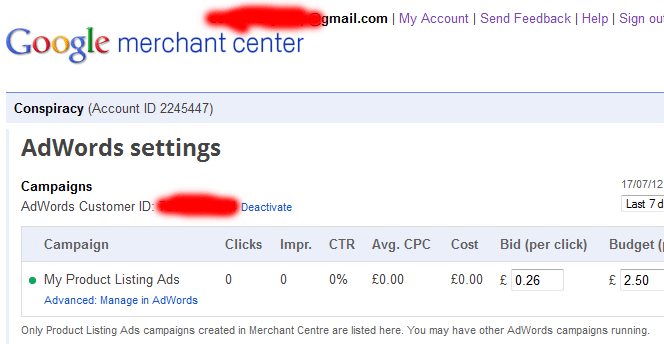 I went over to adwords and saw it had created everything for me.. Wow.. 2 clicks and it’s all done.. So I left it to run for a few days before checking out the impressions and results..
As you can see NO impressions and no clicks. I raised the cpc bid to see if it was to low.. Nothing.. no imp and clicks.. So google’s merchant centre said all good, all ok… so time to checkout what’s going on with adwords. I did my normal tick list of billing ok? enabled? eligible? all fine..
Time to drill down into the campaign itself..
Google sets up a USA version only.. As this client is only in the UK and only has a UK feed the ads will not show. Simple to fix of course but interesting that google isn’t checking if you have a US feed and just enabling a void campaign. Showing both if I’m logged in or not google are showing what it labels as the “latest posts” on the keyword I’d type in. The image below is a screen shot of when I’m signed in but I also looks the same if not signed in. I’m sure I’ve read about google testing this but I’m seeing it live now.. I’ve tried to test a few keywords out like “facebook”, “google” and “twitter” and non are triggering the right column. Google does keep giving but it seems only when it comes to the social world and not the search engine world. This is the only real update from google since taking away(most) our keywords from analytic reports. You can also see the “Assisted Social Conversions” AND the “Last Interaction Social Conversions”. 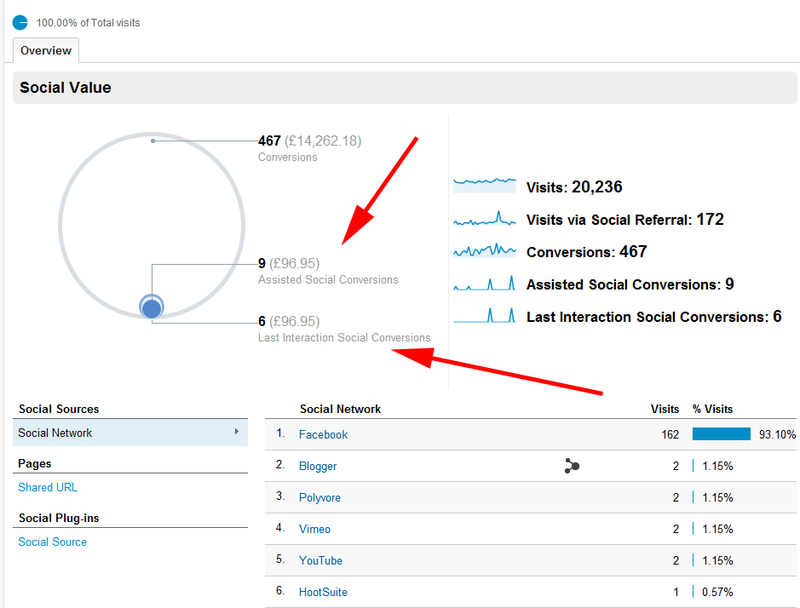 The Overview report allows you to see at a glance how much conversion value is generated from social channels. The Social Value graph compares the number and monetary value of all goal completions versus those that resulted from social referrals. A visit from a social referral may result a conversion immediately or it may assist in a conversion that occurs later on. 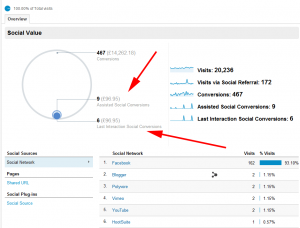 Referrals that generate conversions immediately are labelled as Last Interaction Social Conversions in the graph. If a referral from a social source does not immediately generate a conversion, but the visitor returns later and converts, the referral is included in Assisted Social Conversions.